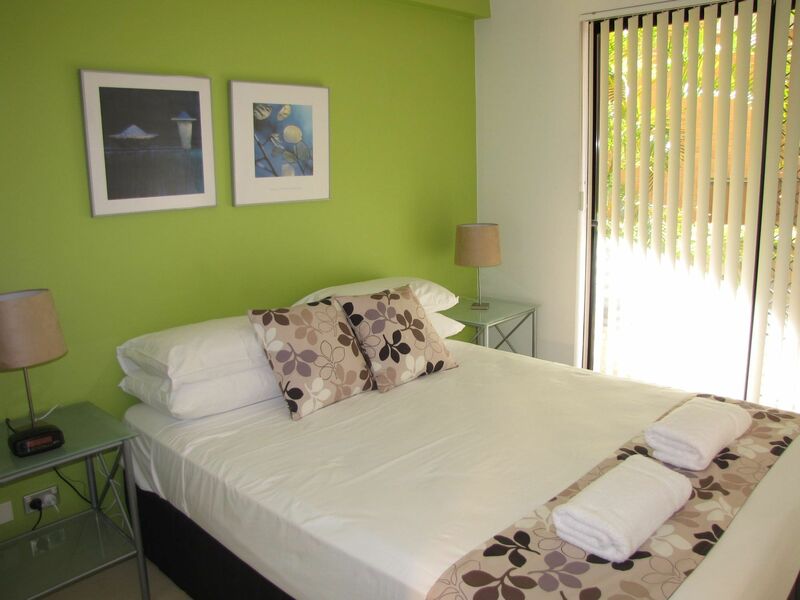 Clean and tidy these 1 bedroom apartments are perfect for guests looking for great value for money. 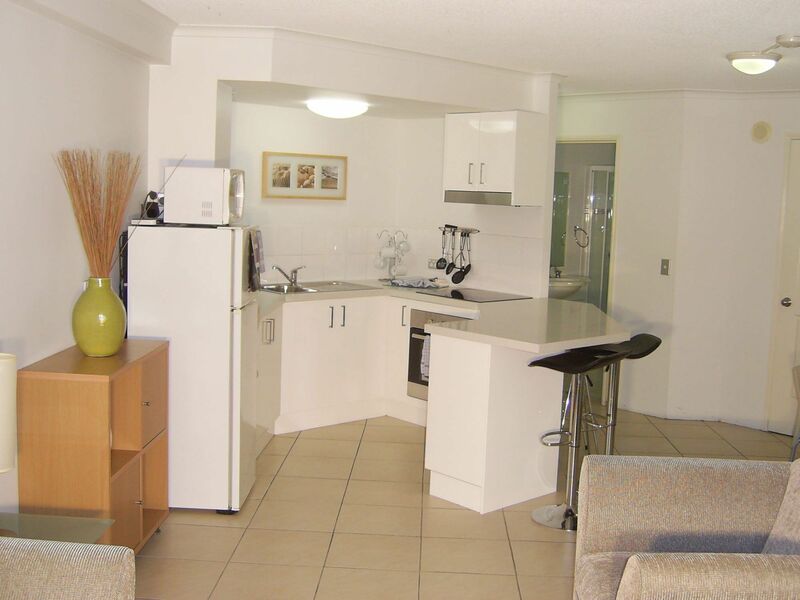 A number of the apartments have new kitchens and all have air conditioning. 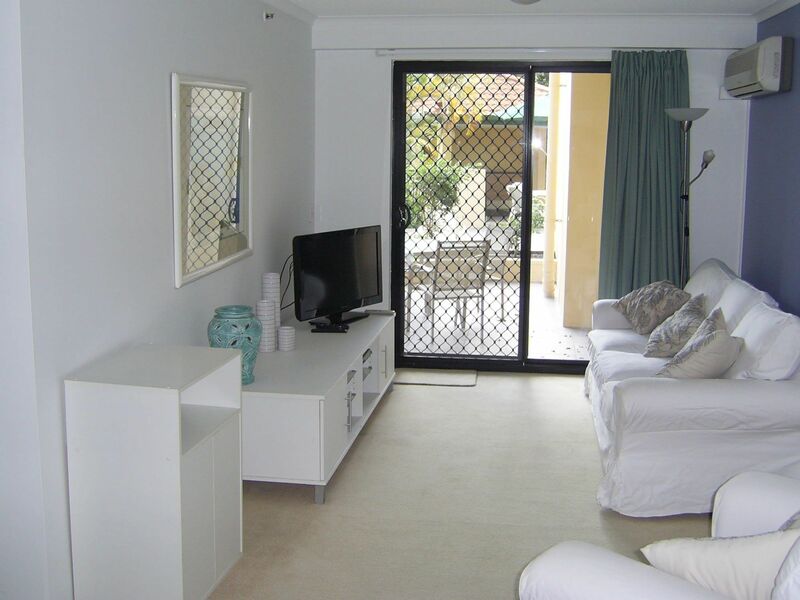 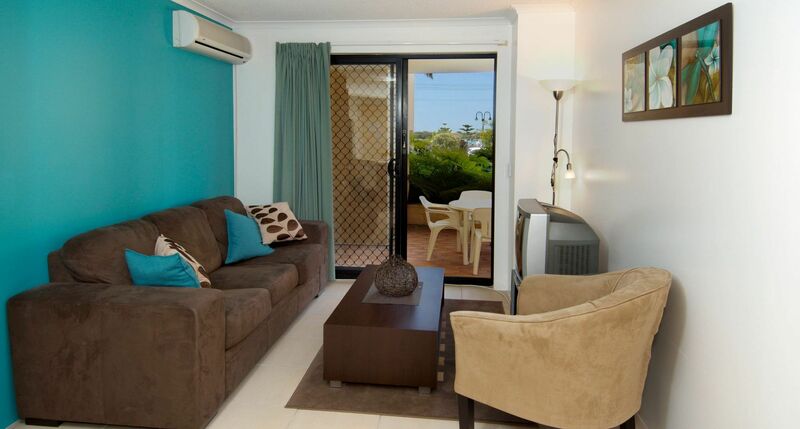 There is a balcony or patio so that you can relax soaking up the beautiful Gold Coast sunshine. 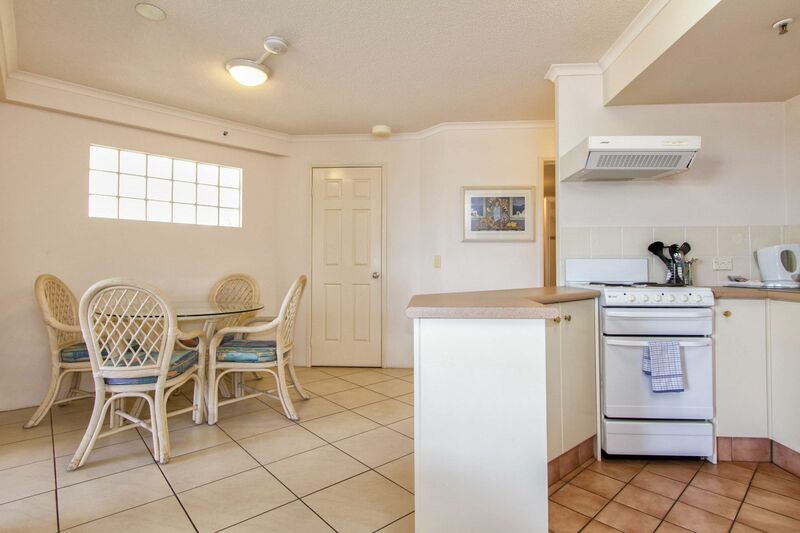 Rates are for 2 guests. 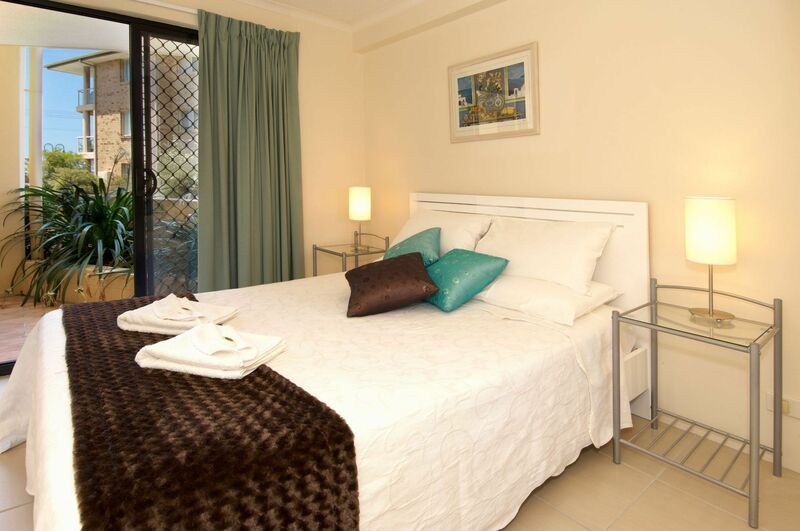 Apartments with a sofa bed may be available or a roll away bed supplied for 1 extra guest. 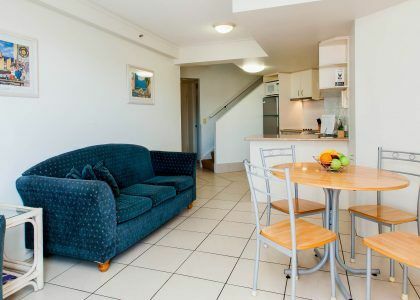 Extra person charge applies. 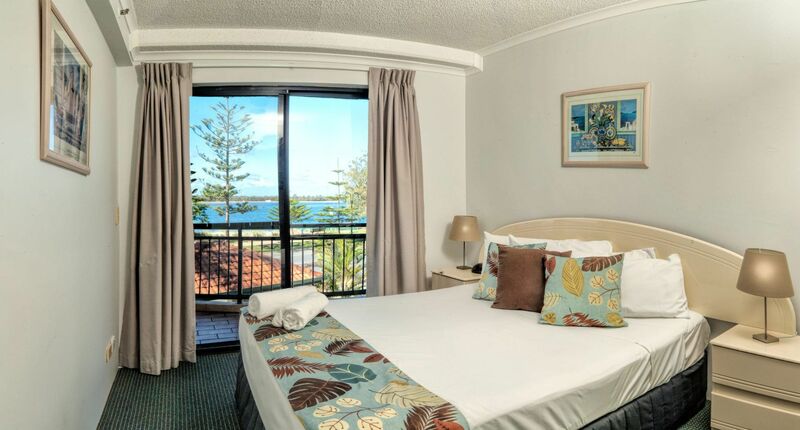 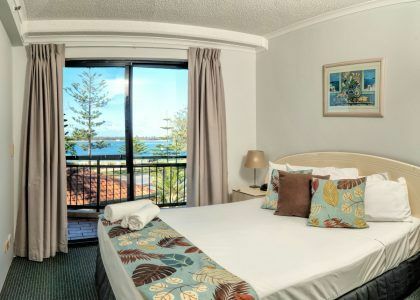 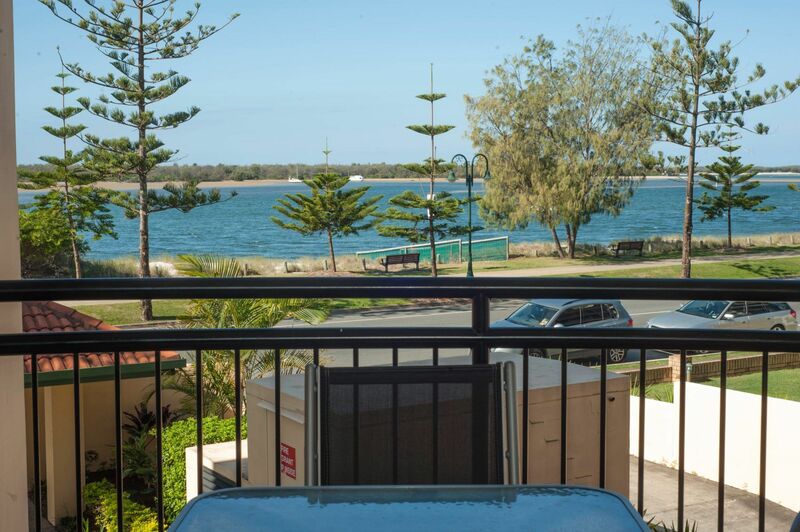 These luxury 1 bedroom apartments have lovely Broadwater views taking in Wave Break Island and across to the Spit or to the north and South Stradbroke Island. 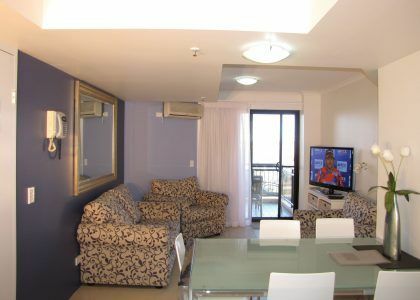 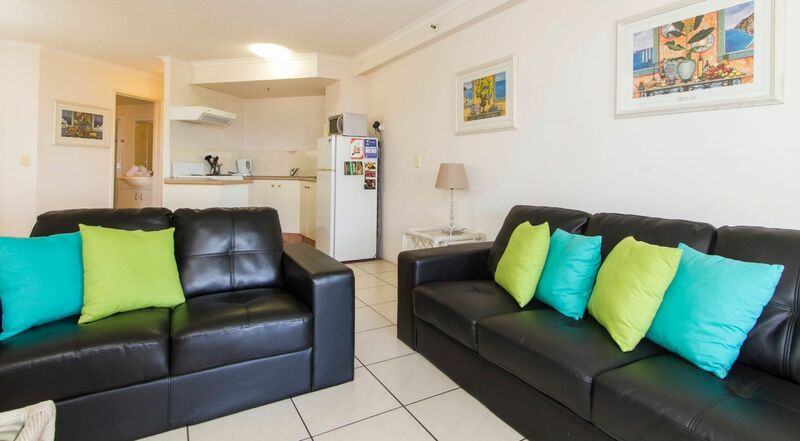 All apartments have been tastefully decorated with modern furnishings and stylish appliances. 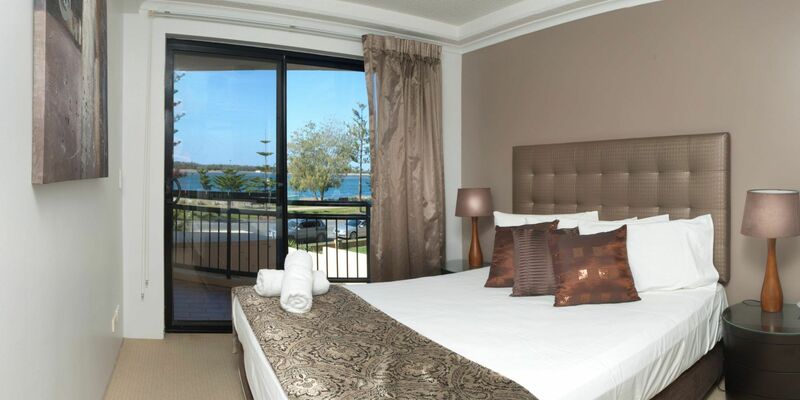 A roll away bed can be added for a 3rd guest – an extra person rate will apply.